Oh joy! – Christmas is near. Are you looking for the perfect present to treat someone special in your life? 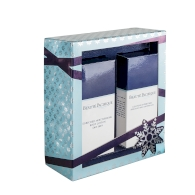 Pick out one of our limited Christmas edition gift sets for Him or Her.